My strategy has been to simply track multiple takes of verses, choruses and solos and then choose the best from each later without doing any cutting/pasting or editing. I didn’t want to get bogged down by the editing process (and just PLAY!) … really pushing myself to get the best performances I can get! We are around 90% there. Solar Panel Update – Live and Connected to the Grid! 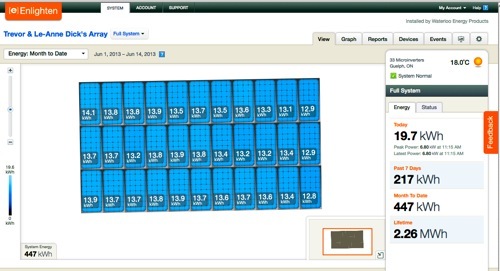 This shot shows each of the 33 panels and their individual production of electrical energy in kWh. Daily, weekly, monthly and lifetime totals are on the right. It is helpful to see the individual power of each panel to make sure none are under-producing for some reason (ie. due to snow or leaf cover). 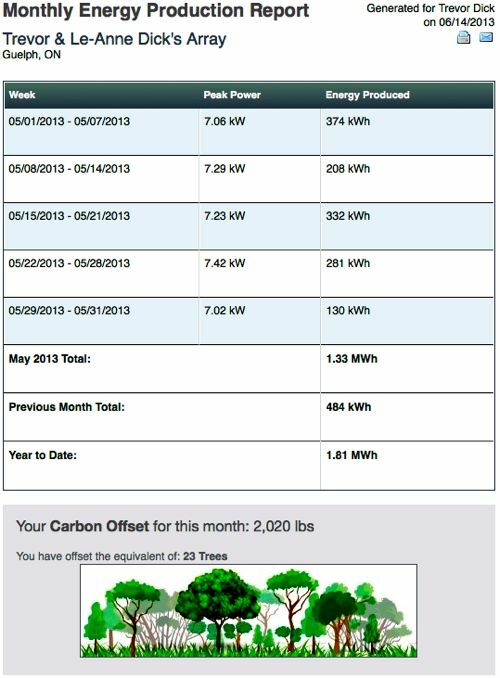 You can access all kinds of different stats and reports on energy output/production in the system. This is a month-to-date graph showing the daily production of energy. There has been a lot of rain in Guelph over the last week! It is amazing to me that the solar panels continue to produce electricity even on cloudy/rainy days (ie. June 6, 7 and 10, 2013). 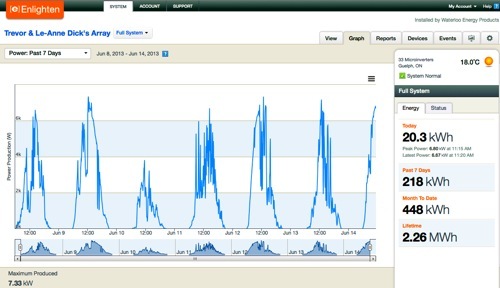 This graph shows daily, minute-by-minute production of solar power. The “spikes” of power show when there is direct sun on the panels. The “valley’s” are showing cloud cover. The spaces between each “mountain” are the evenings where there is no energy being produced. 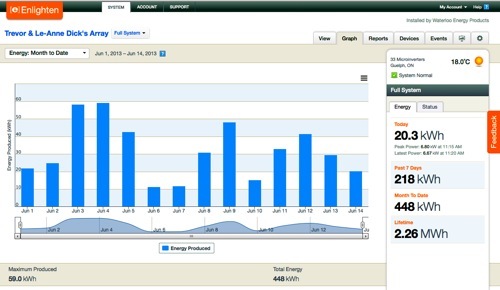 Enphase Energy sends a monthly report on your solar system. Here is our report from the month of May. It is great to know that in only one month, we have offset 2020 pounds of carbon – the equivalent carbon offset of 23 trees! David Suzuki has a good article on Carbon Offsets here. 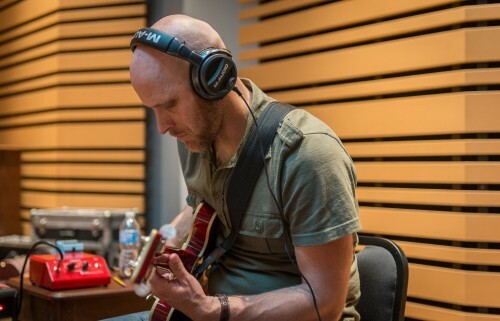 Day 5 at Noble Street Studios saw us work on some bass, piano and guitar overdubs/edits and record an “interlude” full band song clip called “Where Two Oceans Meet” that will appear somewhere on the New World CD as joining material. Everyone on the team were exhausted by the end of the week but exhilarated. As we listened through the “keepers” during the editing sessions I think it really began to sink in how much had been accomplished over the week and the great playing that had been captured off the Noble Street floor. This is going to be a special album – a “New World” of music for us and our audiences. 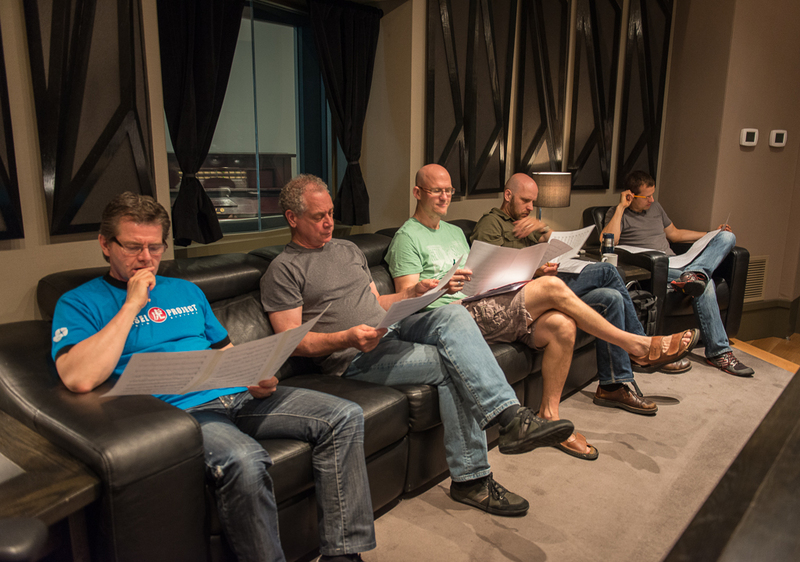 A big thank you to everyone on the team who worked so hard made this week happen so smoothly: The Technical Crew – Richard Cleaver (Recording Engineer), Josh Cleaver (Session Administrator “Minute-taker”), Kevin O’Leary (Noble Street Assistant Recording Engineer) and Trevor Anderson (Studio Session Assistant). The Band – Steve Heathcote (Drums), Will Jarvis (Bass), Brad Toews (Piano) and Tony Lind (Guitar). 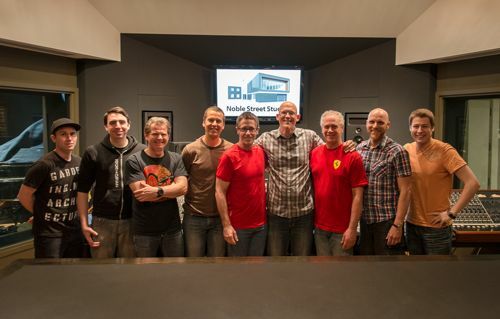 I would also like to thank Noble Street Studios for making us feel so at home in their world-class facility. 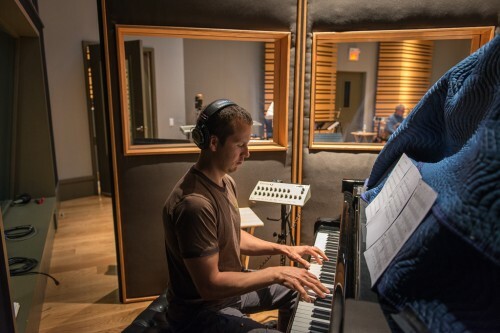 It was truly a wonderful, warm sounding space to record and be creative. Here is a group shot of the full team! http://trevordick.com/wp-content/uploads/2015/03/SiteLogo.png 0 0 Trevor http://trevordick.com/wp-content/uploads/2015/03/SiteLogo.png Trevor2013-06-01 19:17:442013-06-01 19:17:44Day 5 at Noble Street - "It's a Wrap!" 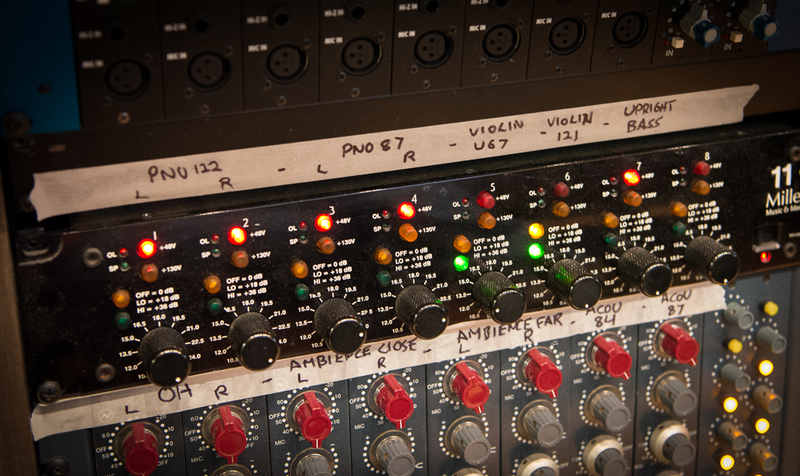 Another great day today at Noble Street Studios. We again met our goals with the tracking of three final songs: “Quito Market”, “Celebration” and “Schindler’s List”. The main tracking is now complete with a total of twelve songs (recorded since Monday). Tomorrow, our final day at Noble Street, we will do some final overdubbing of Bass and Piano plus some tracking of some “interlude” material that will be used between tracks of this concept album. I truly am honoured to work with such an amazing band. They have been digging really deep and giving their best with this new material geared for a Jazz, Folk and Blues Festival audience. The world music on the album will also be readily accepted by international audiences around the world through our charity work with Flyingbow. We have also had a wonderful time working once more with engineer extraordinaire, Richard Cleaver. Richard is a rare talent and great friend! 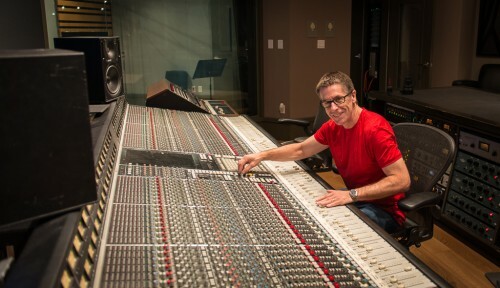 Richard Cleaver (engineer). Visit Richard’s Blog here. It was a very productive Day 3 at Noble Street Studios today. We tracked 4 songs: “Cançåo para Aaron”, “East”, “Sparrow” and “Mother’s Kiss”. We are all settling into a good rhythm and pace. 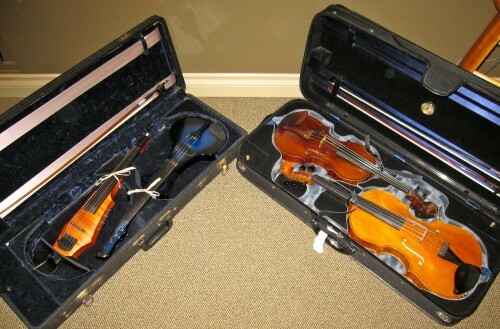 So far, I have only tracked on my two electric violins: the Cantini Midi 5-String and the Ned Steinberger 5-String. We ran two takes of “Cançåo para Aaron” (one on electric and the other on acoustic) and we chose the electric version – a better fit for that song. 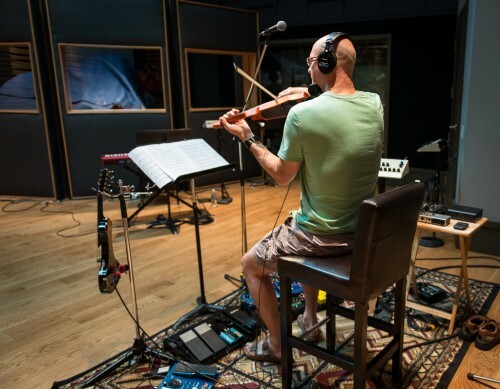 The focus has not been on my violin tracks from these Noble Street Sessions. 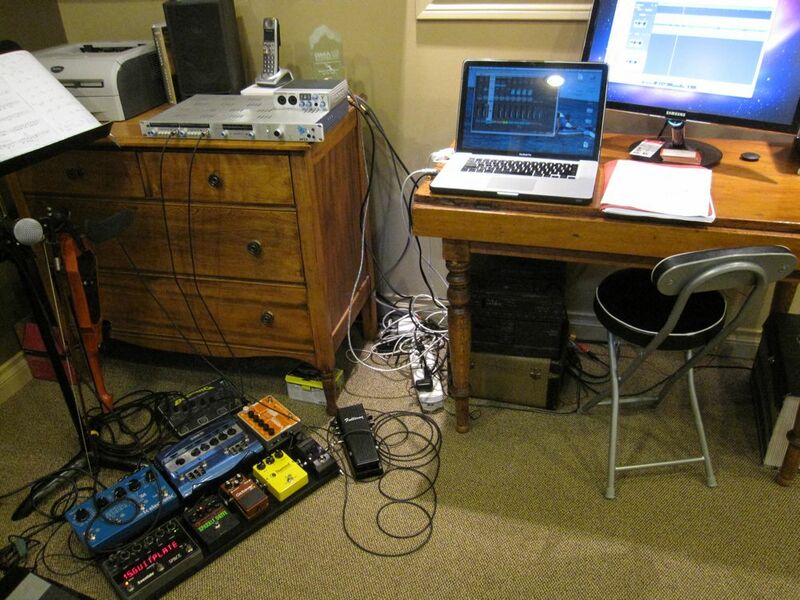 The nature of “bed tracks” however is to keep the best Drum, Bass, Piano and Rhythm Guitar takes (in that order of priority). For the most part, though, the space is very inspirational and I may keep a lot of what I am laying down which will save a significant amount of time later with regards to overdubs. This album is not a safe album – it’s edgy, experimental and challenging material to play. 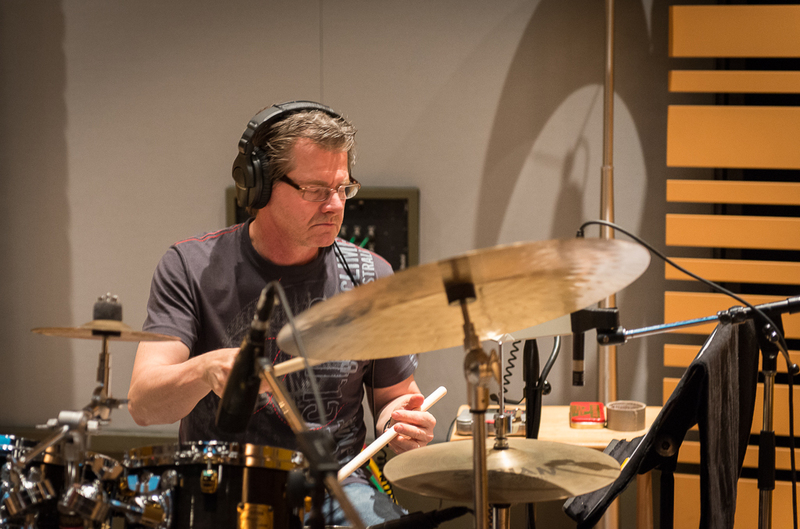 The band (Steve Heathcote, Will Jarvis, Tony Lind and Brad Toews) are laying down some stunning performances. Spirits were high at the end of the day today. 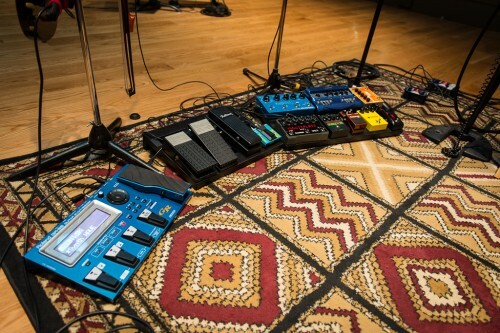 It is wonderful to capture these songs “live off the floor” in such a wonderful “noble” space! 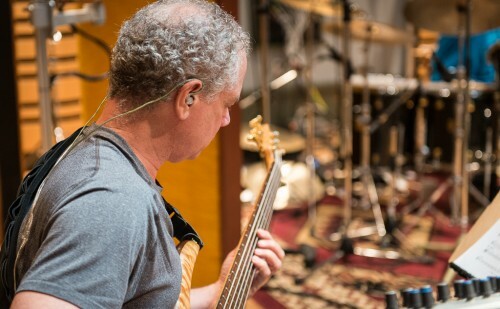 Another productive day at Noble Street Studios, tracking the “New World” project. We were aiming to record four songs today, but completed three (“African Sun”, “Prayer for Peace” and “Perpetual Existence”) for a total of five songs thus far. This is difficult world music material and we have been making some slight changes to groove and feel until each song sits just right. I am pretty tired today … a fair bit of soreness in my left shoulder (repetitive stress, rotator cuff pain etc) which I manage through stretching, self massage and some tylenol. I tracked my new Cantini MIDI violin today on “Perpetual Existence” and was impressed with some of the fat tones I am getting. We certainly are getting a great sound at this studio … I continue to be very impressed. Here is my signal chain in photos. A great Day 1 with the Band at Noble Street Studios today. We rolled into Noble Street at 11:15 a.m. for our set-up and line checks and were tracking by 2 p.m. after a quick break for lunch. We then had a productive afternoon tracking two songs: Change the World and Wonderful New World. 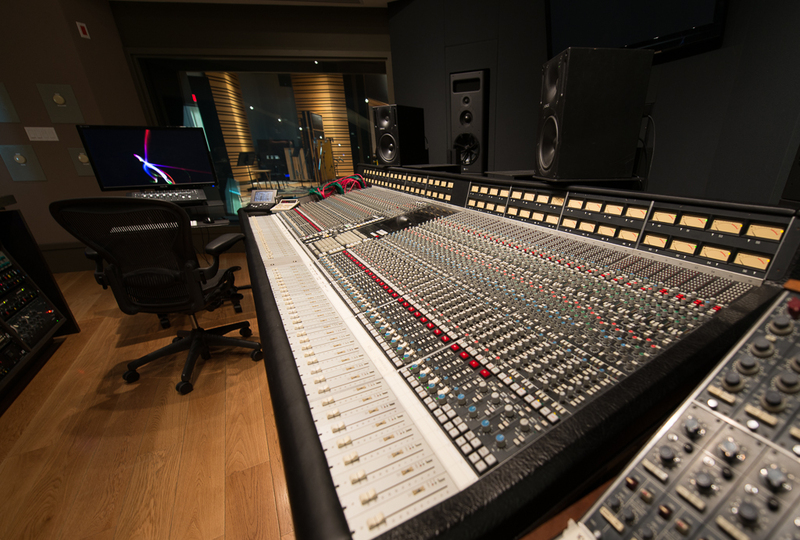 I am very happy with the sound – beautiful warm, clear crisp tones off the floor of this new world-class down-town Toronto studio. We plan to track 4 songs tomorrow, starting with a new original composition called: African Sun. 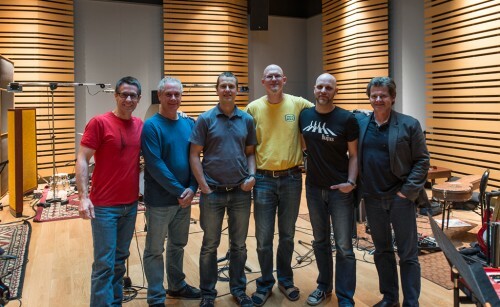 Here is a group shot at the end of tracking today. You can also link to, engineer, Richard Cleaver’s site for more pics from Day 1. My instruments and pedals are packed and ready to go for the start of tracking at Noble Street Studios tomorrow. 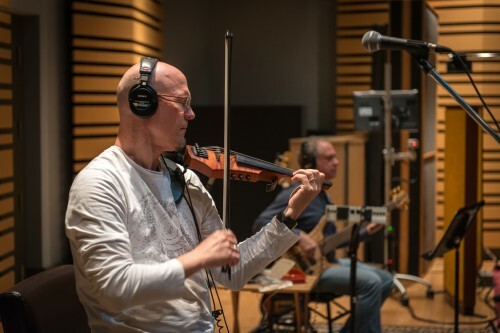 I will be playing the following instruments (pictured above) on this recording project over the next five days: George Craske Acoustic Violin, Jacobus Van Soelen 5-String Acoustic Viola, Ned Steinberger 5-String Electric Violin, Carlo Cantini 5-String MIDI Electric Violin.